I recently moved to a new house and decided to paint my office gray. I feel so lucky to finally have a whole room all to myself! 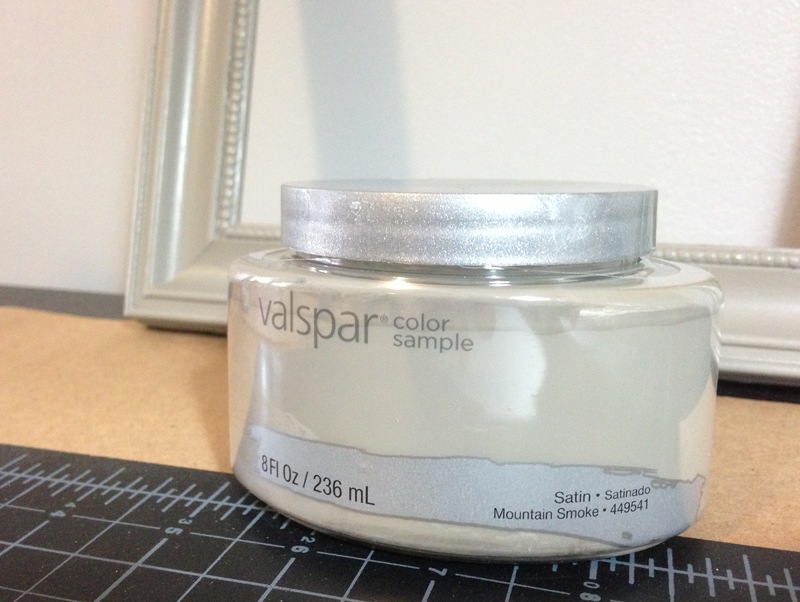 I chose the Valspar color Urban Sunrise. I really like the color and was super excited to finally hang up a large picture that belonged to my mom, it has a foggy London in the 1800’s scene and is a great frame. I decided to hang two of her other pictures on either side of the large one. 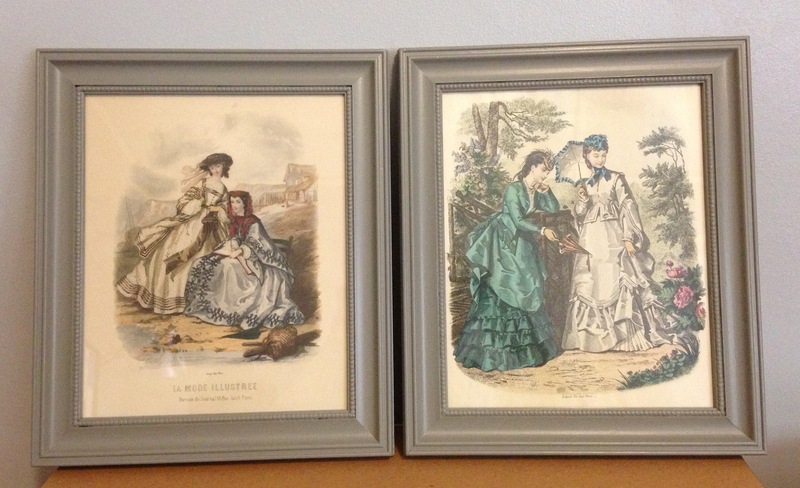 These are ladies fashion prints that were originally in various old wood frames. 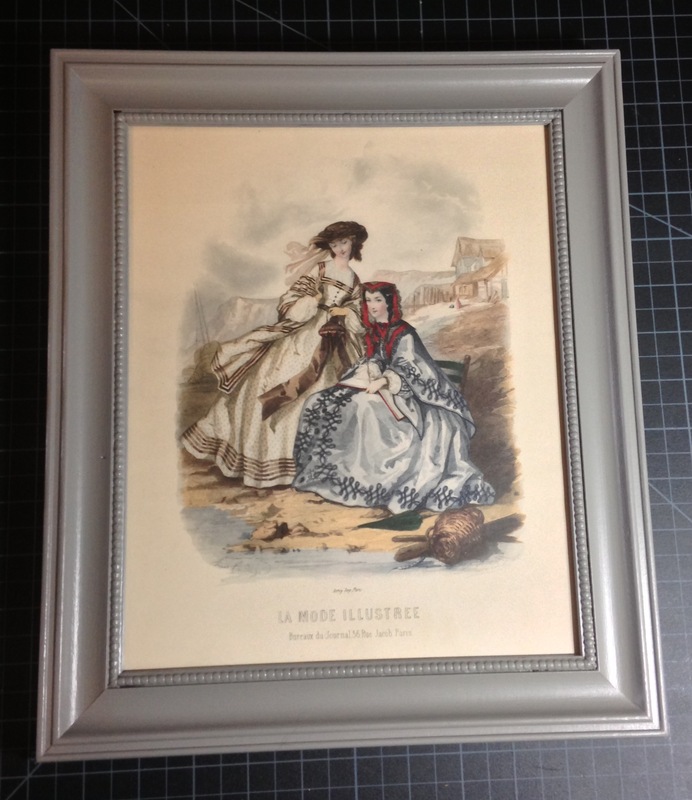 I picked out two matching frames and repainted them to update the look and match better with the large picture and my new gray walls. I’ve been getting a free subscription to Real Simple magazine using my Coke Rewards points, and inside they have coupons for a free sample of Valspar paint. I chose the color Mountain Smoke, a darker gray. 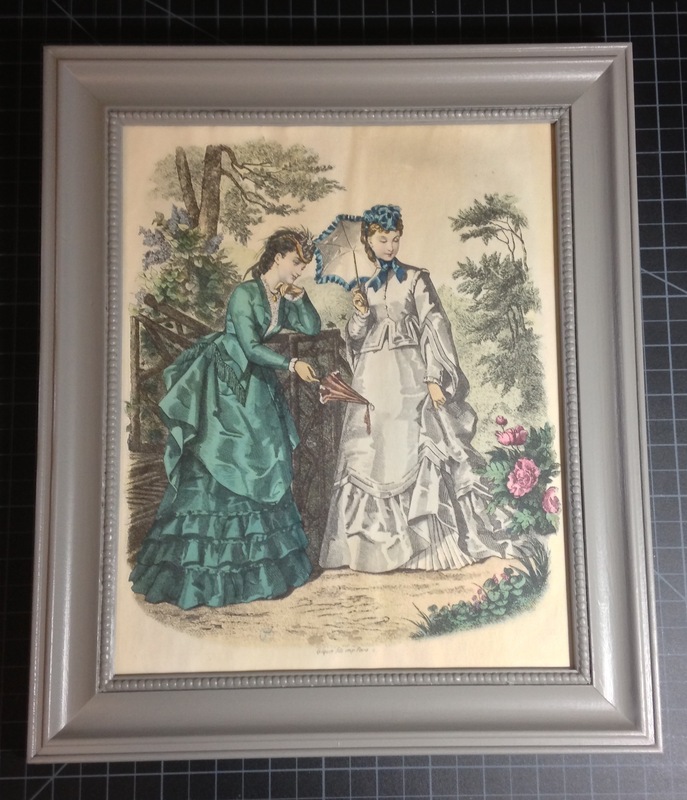 I used a foam brush and gave my old wood frames a few coats of this lovely gray paint. Then I trimmed one of my prints that was too large and had some water damage, and cut new cardboard backs because the original ones had some water damage. 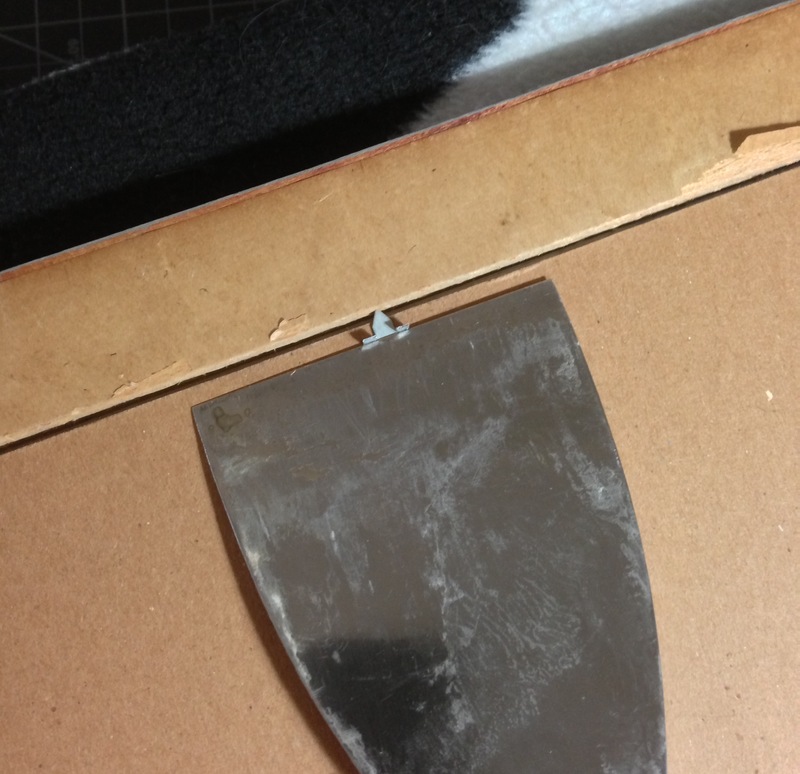 I cut up a large back from a pad of drawing paper instead of buying a new piece of backing. 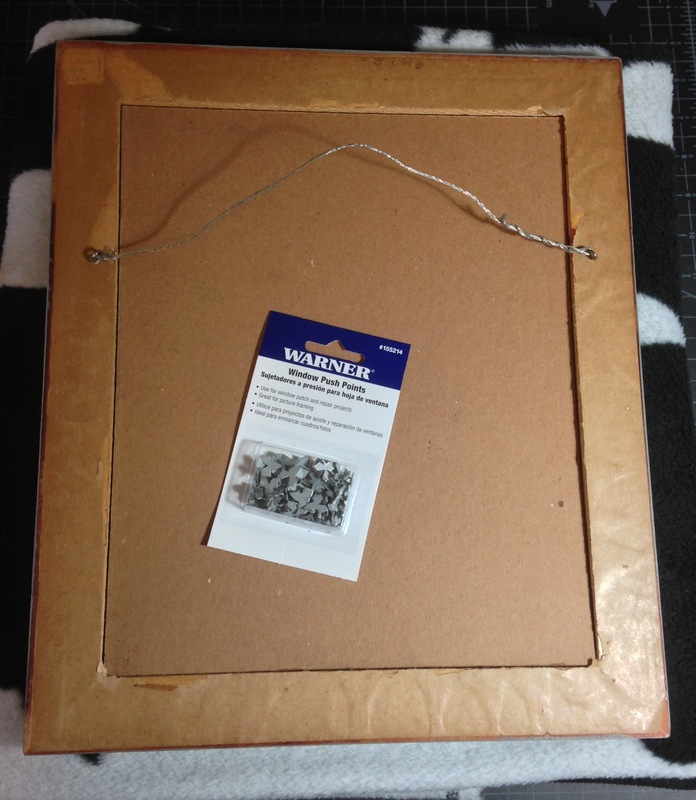 To hold the glass, picture, and cardboard in place, I purchased a pack of Window Push Points. Just lay your frame down on a blanket so you don’t scratch the paint and use a flat tool to wiggle these points back and forth a bit until they slide into the wood. Pretty simple, an easy way to hold things together, space them evenly around and use as many or as few as your frame needs. Now I can’t wait to hang them all up but I’m not done with touching up the trim in the room, so that will have to wait a little longer. I really think the grey helps the color in the prints to pop a bit. And, I still have almost a full sample so I’m on the lookout to update more stuff. If you don’t have a free coupon, you can still pick up these sample jars for less than $3 which means anyone can make an easy and frugal change to their own frames and decor. I know the colors are all over the place with my not so great pictures, but trust me, Mountain Smoke is a fabulous gray!